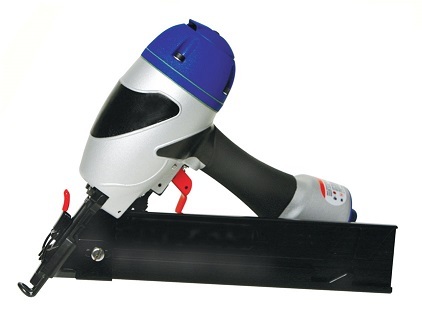 PRODUCT: SPOTNAILS XBA1564 1 to 2-1/2" 15 GA ANGLE COLLATED FINISH / BRAD NAILER, AIR NAILER KIT. Includes tool, hard case, oil, allen wrenches, safety glasses, product documentation. Weight: 4 lbs. 4 oz. Fastener Length Range: 1" to 2-1/2"